Fuel can gaskets become brittle and warped over time, reducing their ability to create a seal and hold liquids inside the gas can spout. 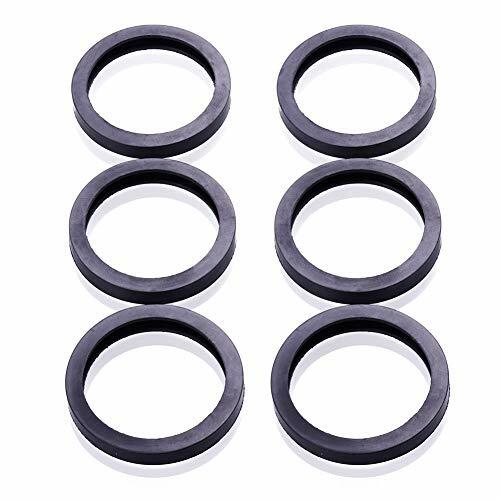 These replacement gaskets are perfect for replacing old gaskets to renew the gas can's holding power,Use these replacement rubber gaskets to load up your lawnmowers, lawn edgers and trimmers, and other fuel container needs. If you have an older Blitz, Rubbermaid, Gott, Kolpin, RotopaX or other fuel container, these replacement gaskets are exactly what you need. Leaky gaskets? These will fix that.